Glows and flickers like a real candle, creating authentic candlelight effects. Timer will turn the candle on at the same time every day and will automatically shut it off 5 hours later. Cream colored, vanilla scented, patented realisted wicked sign. 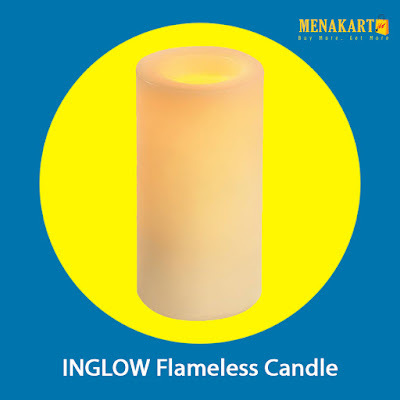 This Inglow Round Pillar flameless candle can be used anywhere in the home even where you wouldn't use a burning candle.